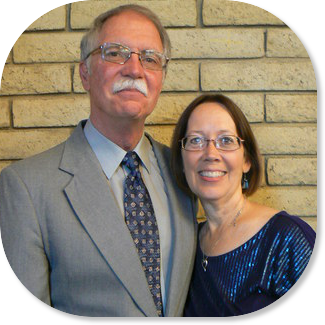 After serving the Lord for 12 years as an associate pastor, Pastor Steve and Barb came to Maricopa to shepherd Christ’s wonderful people at Maricopa Community Church in 1995. Steve received his Master of Divinity degree from Phoenix Seminary and was ordained in 2007. His goal is to see the church foster growth in the grace and knowledge of our Lord Jesus Christ by providing biblical teaching, living examples of faith, and various opportunities for everyone to serve Jesus. “It has been an amazing experience for me to pastor MCC over the past 19 years. Preaching, teaching, shepherding, and caring for God’s flock have allowed me to learn much from the Scriptures and to personally know many of God’s people. Just think of it. I get to spend time getting to know our Maker and Savior better! I’ve had the privilege of searching out the answers to many of my most heartfelt questions. The folks at MCC helped me to finish my Master of Divinity Degree and provided opportunities to serve the Lord in many various ways. My wife, Barbara, and I are impressed with the many examples of kindness, generosity, service, and genuine friendship that we see among the congregation every day of the week.